Introduction and Q&A by poet Lisa Jarnot and filmmaker Jennifer Reeves. 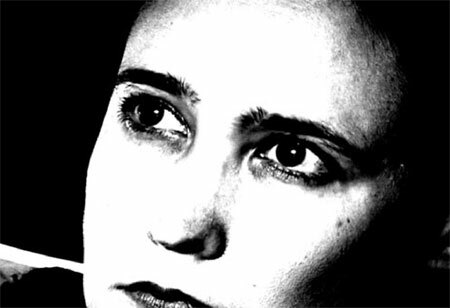 The Time We Killed is described by its director as a work of “true fiction.” Shot in 16mm, the film tells the story of an agoraphobic writer trapped in her Brooklyn apartment, ranging through memory, fantasy, and dark ruminations on contemporary geopolitics in a hybrid blending of documentary material, scripted scenes, and improvisation. The protagonist is played by the poet Lisa Jarnot; her poetry, written in the voice of her character, is interspersed throughout the narrative. Lisa Jarnot studied at the State University of New York at Buffalo and Brown University. She has edited two small magazines and is the author of four full-length collections of poetry: Some Other Kind of Mission, Ring of Fire, Black Dog Songs, and Night Scenes. Her biography of the San Francisco poet Robert Duncan was published by the University of California Press in 2012 and a Selected Poems will be published by City Lights in 2013. Jennifer Reeves is a New York-based filmmaker working primarily on 16mm film since 1990. She does her own writing, cinematography, editing, painting and sound design on subjective and personal films that incorporate optical-printing and direct-on-film techniques. Reeves explores themes of memory, mental health and recovery, feminism and sexuality, landscape, wildlife and politics. Poets have long been drawn to the formal qualities of cinema––its motion, its scale, its imagery, its temporality. The poet Vachel Lindsay found in film the purest expression of “the human soul in action”; Frank O’Hara famously pleaded, “Mothers of America / let your kids go to the movies!” What’s far less discussed is the influence of poetry on filmmaking. This series attempts to redress this imbalance with films that encompass a wide variety of interactions between filmmakers and poets. Over the course of four Friday evenings, the contours of the “poetic film”––an overused and underexamined term in critical discourse––will resolve into a fuller historical specificity. Receptions will follow the screenings. Curated by Richard Davis (Ph. D. student, EALC/CMS) and Stephanie Anderson (Ph.D. student, English) as a project of the Film Studies Center Graduate Student Curatorial Program. Co-sponsored by The Arts Council, The Film Studies Center, Renaissance Society, Chicago Studies, Poetry & Poetics Workshop, Poem Present and Mass Cultures Workshop.